Birds Nest Acupuncture is a wellness clinic in Austin, Texas that specializes in alchemical acupuncture to address comprehensive wellness needs. 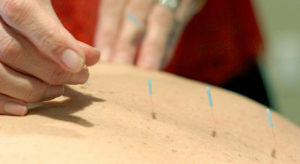 Acupuncture treatments include a thorough physical and emotional health history intake in order to treat root issues. Each acupuncture sessions offers highly personalized care, and we take the time necessary to understand and treat your unique issues. We also strive to come up with a wellness plan that offers you the best possible chance of healing which can include other modalities such as cupping, moxa, essential oils, tuning forks, hands on healing, dream journaling, flower essence remedies, and herb and supplement remedies. Alchemical acupuncture differs from traditional acupuncture in the sense that it seeks to treat not only the physical symptoms, but also emotional, psychological and psychosomatic as well. One of the ways we tend to the emotional needs of our clients is by making space for them to talk about where they are and express their emotions in each session. We believe that most healing Journeys are multidimensional and this modality allows us to work with our clients on body, mind AND spirit knowing that each part of ourselves is interdependent on one another. In addition to acupuncture sessions, we offer complementary or stand alone services as follows. Some of our services allow us to work with clients remotely as well. If you are unsure what service would be best for you, you can request an appointment, and I can make recommendations accordingly. If you’re eager to work with me but are unable to pay full price due to financial limitations, please contact me to discuss more options. Cupping is the use of cup-shaped objects placed on the body to relieve pain, fight common colds, improve circulation, and relieve stress. The cups are placed on the skin and held in place by suction. The suction feels similar to a deep tissue massage. When the cups are released, it may leave some marks or bruising. This is completely normal and part of the therapeutic effect. Many of our clients love cupping and request it during their treatments. Cupping releases and stretches muscles, bringing oxygen-rich blood to their tissue that reduces pain. Cupping may accompany your acupuncture session when deemed necessary, but it can also be a stand alone treatment lasting 30 minutes. An herbal consultation can be done in person or over the phone. It involves a thorough intake of your entire health history for new clients and a follow-up intake for existing clients. We will make recommendations for you that may include Chinese herbs, wellness supplements, flower essence remedies, and dietary suggestions. You may pick up herbs and supplements from our clinic here in Austin, TX, find them and order them online through your own preferred sources or directly via the recommendations through our online dispensary, Wellevate. Herbal consultations are designed for clients who prefer to just work with just herbs and supplements or are not located in Austin area and wish to work together remotely. Herbal and supplement recommendations are a part of the acupuncture sessions when deemed necessary. Remote wellness consultations are phone consultations that allow you to receive the benefits of alchemical healing remotely. You’re given an opportunity to express yourself emotionally, and I will provide feedback, coaching, mindfulness techniques, and make lifestyle recommendations, and prescribe herbal, supplement, and flower essence remedies to benefit your growth and transformation. Remote wellness consultations are a stand-alone service designed for those who are not in the Austin area. We are currently accepting out of network insurance coverage with United Healthcare, Blue Cross/Blue Shield, and Aetna. Insurance coverage for acupuncture varies policy to policy. If you would like to know if acupuncture is covered under your policy, please let us know and we are happy to check. Because our practice is by appointment only, your appointment time is reserved exclusively for you. If you need to reschedule or cancel an appointment, we require a minimum of 24 hours notice. Please email or call to cancel or reschedule. Full visit fees will be charged for missed visits and late cancellations. Please consider printing and filling out this paperwork in advance of your first treatment. If you are seeking treatment for gynecological concerns, please also fill out the gynecological and fertility history form.